driveway or patio is rock slabs, cobblestone, or poured concrete, there are ways to keep it looking fresh and clean year round. Sand and grit can work its way down into small cracks and crevices and, over time, cause them to spread. Water from rain or snow can get into the cracks and freeze into ice, causing the crack to spread and widen. These cracks are unsightly and if a frost heave were to occur, they could cause real damage that can be expensive to repair. Driveway patio cleaning with a high pressure blast of water, can remove small rocks and sand from the surface, so that they won’t cause surface pitting or worsening of small cracks. A leaf blower, used regularly, will rid your driveway of leaves, twigs, and other lightweight debris that can also cause messes. If you have ever seen what happens to a concrete driveway when a nearby crab apple tree is losing its fruit you will appreciate what a good driveway patio cleaning by professional cleaners can do for your home or business. Prevention is always a good idea, and especially so in this type of scenario. Soft, ripe fruit from crab, cherry or other decorative fruit bearing trees fall onto the driveway and is then repetitively run over by vehicles coming and going from a home or business, leaving a nasty mush which stains the driveway surface. A stone garden path or patio is another area where stains can happen. Again, falling fruit can leave a mess, as can fading flower blossoms, tree sap, or other garden debris. Following a regular cleaning service of driveway patio cleaning can make all the difference between a messy and unkempt appearance and a lovely and memorable garden. 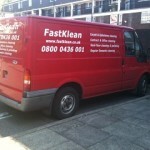 If you would like to have driveway patio cleaning done in your home call 020 8884 9149 for a free quote.